The Intel NUC Mini PC is packed with Intel technologies, so you get all the performance you need in a PC no taller than a tennis ball. Get ready to play hard and fast while still taking advantage of the performance you need for content creation, photo editing, or complex work. 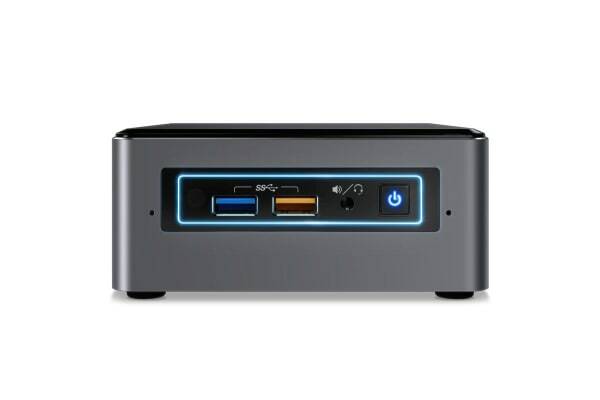 The Intel NUC Mini PC is built with a dual-core 7th Generation Intel Core™ i7 processor and has Intel Turbo Boost Technology 2.0 for unprecedented power and responsiveness to help your productivity soar. This Intel Mini PC is Intel Optane memory ready which makes you ready for the future. By easily installing and pairing Intel Optane memory with high capacity HDD storage media, you get amazing performance and responsiveness as well as shorter boot times, faster application launches, and more responsive browsing—exactly what you want for play or work. Intel Iris Plus Graphics lets you see images in brilliant 4K and adds better definition and clarity, letting you watch theater-quality 4K videos in your living room or see the sneaky moves your opponent is trying to make on your favorite game. 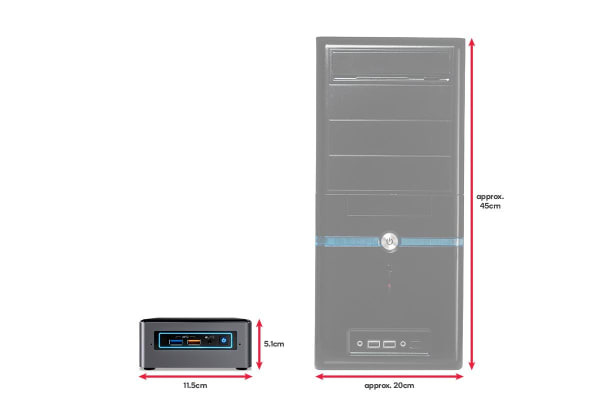 The kit also comes with Thunderbolt 3 which supports up to 40 Gbps transfer speeds, connection to external graphics, and has built-in 10 GbE for networking with another Thunderbolt 3 system. 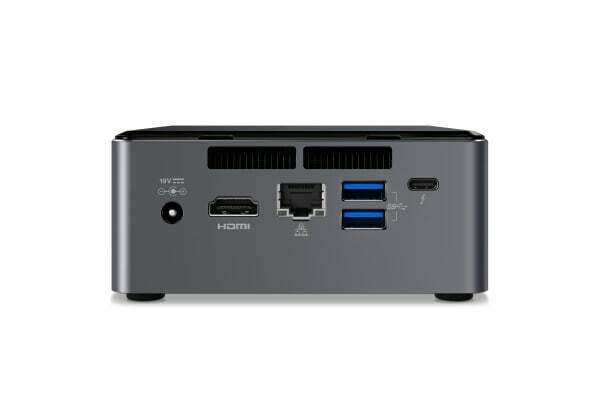 This Intel NUC Kit comes with Intel 802.11ac wireless, Intel’s fastest wireless available today, for connectivity right out-of-the-box. This makes it simple to immediately access files in the cloud, and with built-in Bluetooth 4.2, you can connect wireless peripherals like headsets and keyboards.